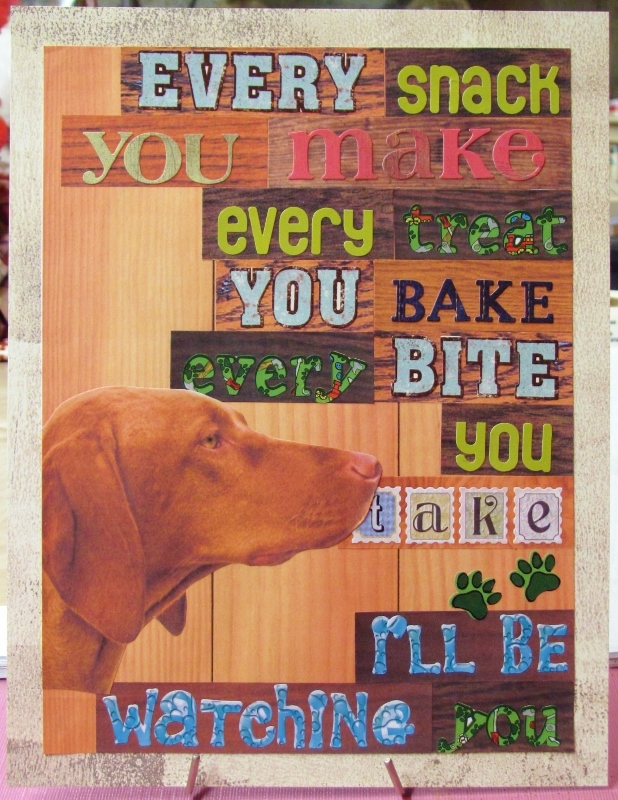 It is always sad when I need to make a sympathy card. This time, our next-door neighbor passed away and sentiments were due to the family. 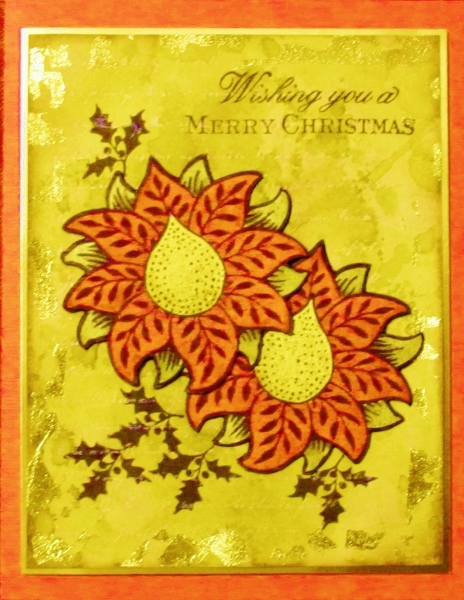 I had on hand a Dazzles outline floral sticker that I had mounted on a fuscia foil cardstock. This I trimmed down for a starting point. 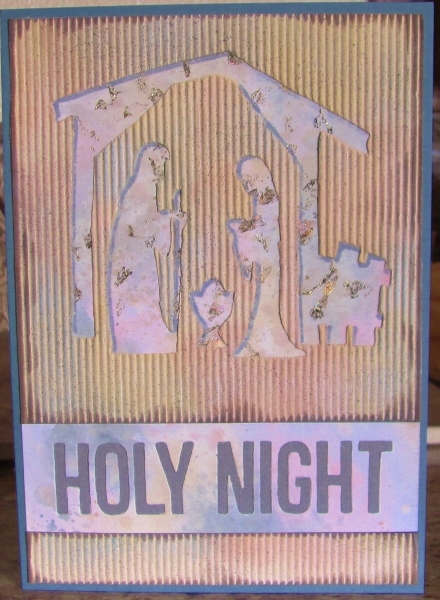 I found a piece of white embossed cardstock that I got in a a swap. 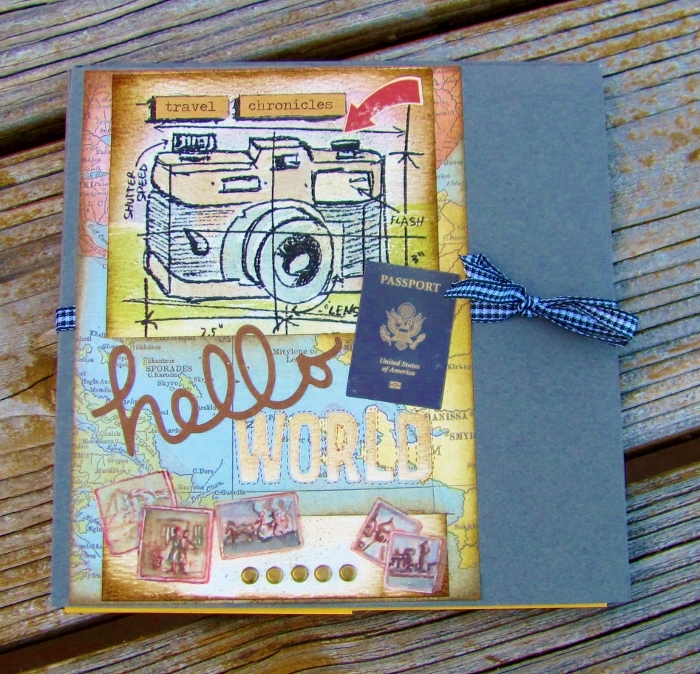 With a little layering (gold foil cardstock and a white card base) it all came together. 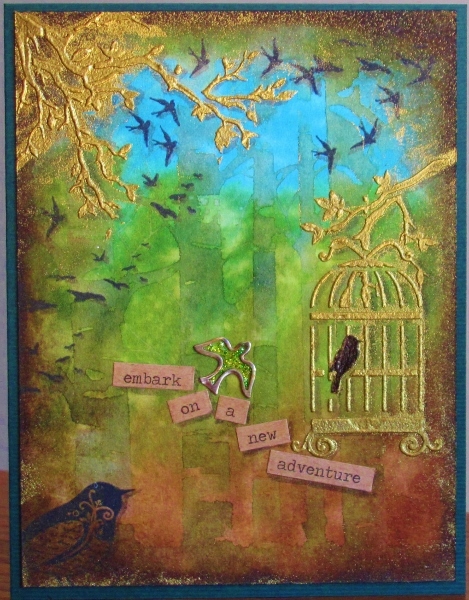 I used a gold Dazzles sticker for the text. Hope I don't need another for a long time. In reviewing my posts for 2017 for my top 12 favorites, I realized how much my focus has been narrowing in the arts. 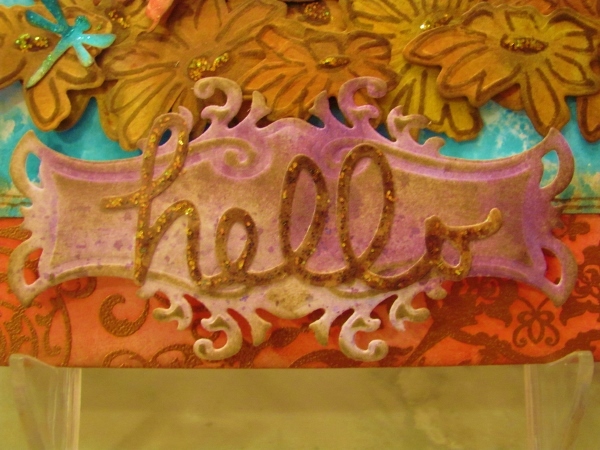 I spend much of my time either quilting, Bible journaling or lettering. The two latter are relatively new focus areas for me and encompas the wider skills of drawing, using different supplies, and even online teaching! In the area of quilting, this year, I completed 22 projects start-to-finish and also pieced 4 tops for baby quilts from blocks embroidered by my Mom. 15 of my quilts were for charities (11 to the hospital, 4 to a pregnancy center). 3 of the quilts were ones I kept, 2 were for family and 2 for children in crisis. 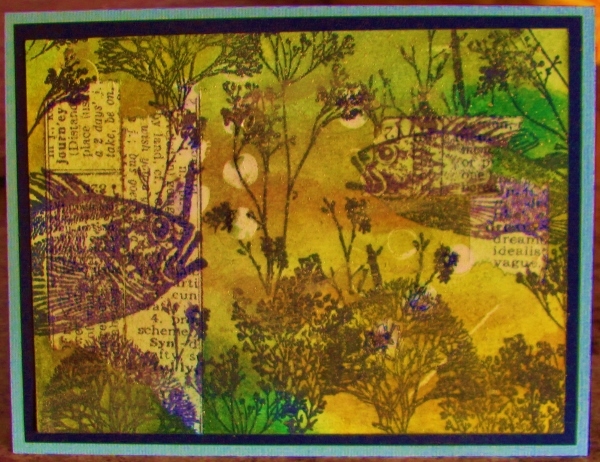 From a panel print, I fussy-cut the bird blocks and then made paper-pieced birdhouses to alternate with them. This is a wall hanging I kept. 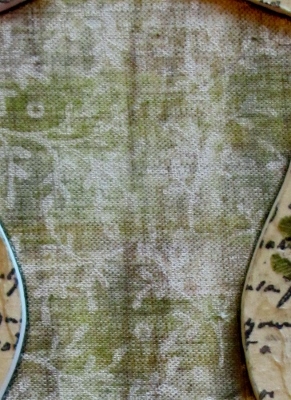 The second is also from a panel print which I joined with black sashing to coordinating fabrics. This lap quilt went to the hospital. The third quilt in my hit parade is another wall hanging that I made for me. All of the blocks are paper pieced. 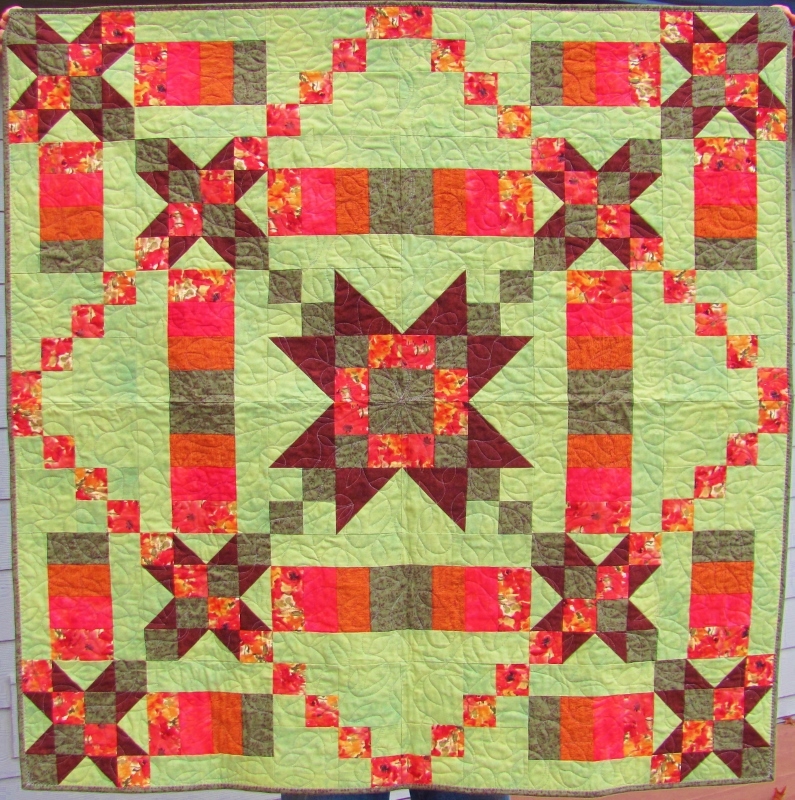 Many of the blocks and the overall design of the quilt are my original designs. It all started as a way to use up the three snowmen blocks! The Bible journaling I started in the fall of 2016 is a way to meditate on scriptures using art and creative lettering. I completed 56 pages in my Bible this year. I work in black pen and colored pencils. 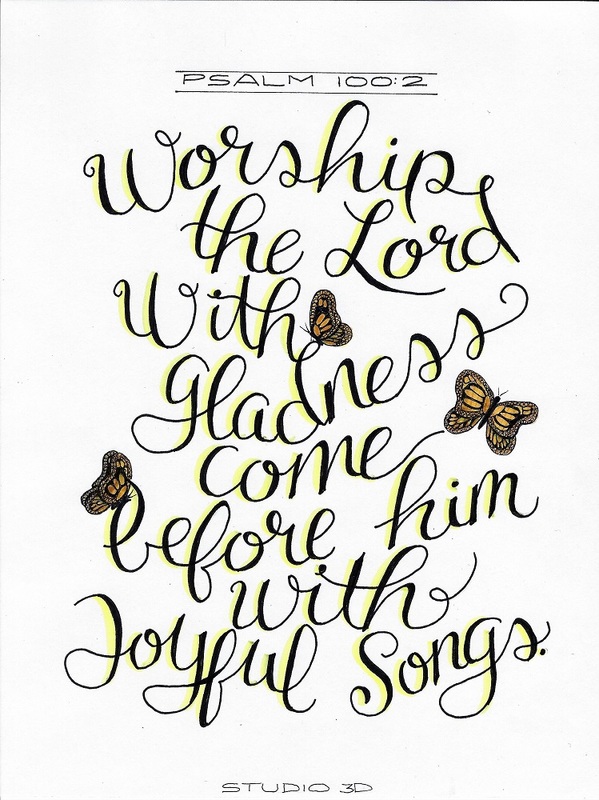 I joined a Facebook group on Creative Bible Journaling partway through the year and soon became involved in the Lettering Lodge there, which focuses on learning new lettering styles. 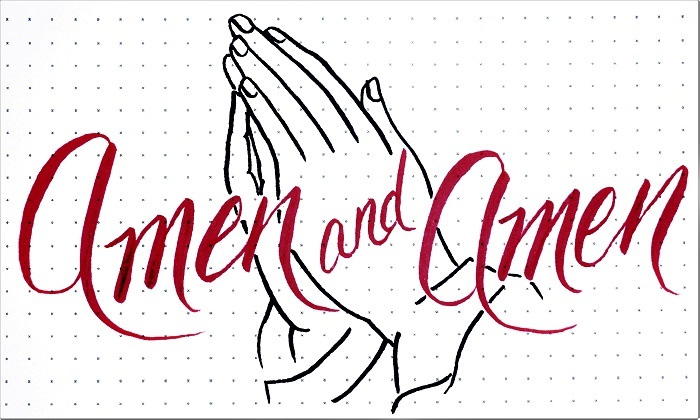 In the past few months, I have become co-staff of that area and have been teaching some week-long online lettering lessons for people to use in their own Bibles. So, there you have it - a baker's dozen of my favorite arts and crafts from 2017. Since I am so immersed in all of these areas (except the button craft and wine-glass candleholders), I expect that 2018 will yield more of the same. This year, instead of reviewing only my 10 favorite projects of the year, I decided to compile a list of accomplishments for the year on the blog. First I ought to point out, as a reminder, that this was the year I stopped creating art to 'feed the blog' and started using the blog only as new art was completed, letting it happen in its own time. This began the first of June just as I had completed 9 years of posting art daily. It was a milestone moment and I chose to make the change that would allow me to relax a bit and let the art develop on its own schedule. The result was 69 blog entries June-December rather than the 217 that it would have taken to fill every day. I like it! So, what did I do with all that time? Quilting: completed 20 (baby quilts and lap quilts), 1 tree skirt, 6 placemats (retro campers), pieced 4 tops (lap quilts ready to be quilted), cut all the pieces for 1 quilt, started 2 mystery quilts (in progress). Sewing: made 6 microwave bowl buddies, 1 small boxed bag, 4 pairs of pants, 2 pillowcases, 2 fabric origami boxes, 9 woven fabric ornaments, 2 zippered makeup bags, 1 insulated lunch bag. 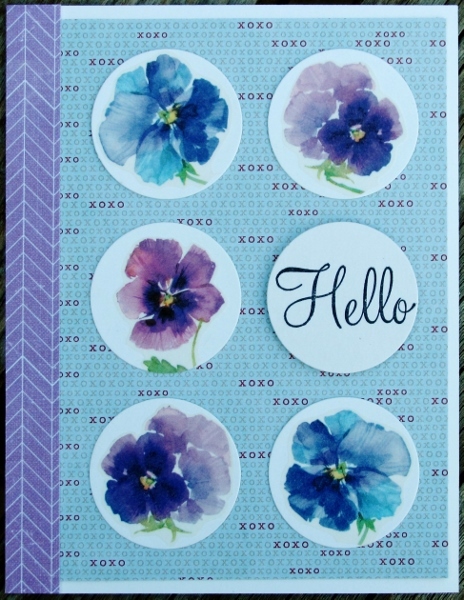 Bible Journalling: This was a totally new endeavor started in September. I have 9 pages completed (pen and ink with colored pencils). Artwork: 1 colored pencil drawing. Digital projects: 3 calendars from Shutterfly, 5 books from Shutterfly, 10 cards from Shutterfly. 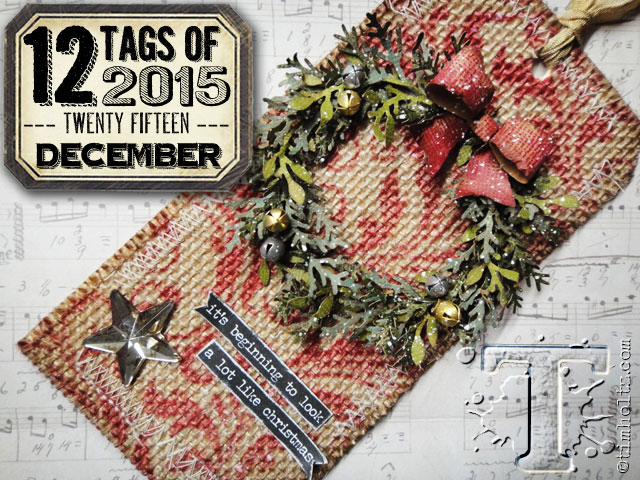 Challenges: 16 projects using Tim Holtz's Twelve Tags series for inspiration. Gardening: A shared endeavor with Mom. In the Kitchen: 26 Freezer to Crockpot meals (haven't sampled all of them yet but we're making note of the ones we want to make again), Preserving from the garden to go in the freezer (corn on the cob, breaded scallop squash, butternut mash, diced tomatoes, roasted summer squash, diced peppers). Travel: California coastal cruise, Riverboat cruise, Omaha NE, Lynchburg TN, Ephrata WA. 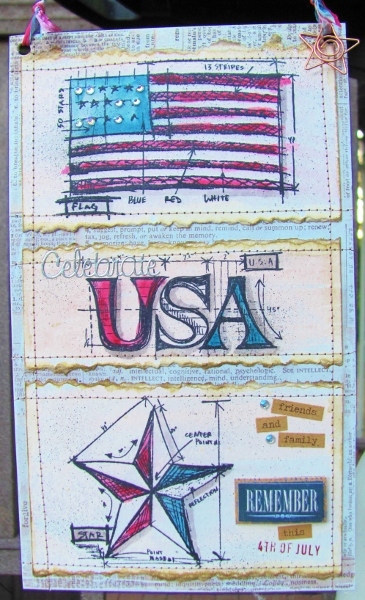 Miscellaneous: 2 watercolor pieces (using stamps for the sketch), 1 decorated blank book (for use as a travel journal). Grand total: 288 items plus travel and gardening. I would point out that, this year, my very favorite art-related activity is not something I created but a place we visited. We only scheduled a few hours for our visit to The Getty Center (Museum) in Los Angeles. We were mesmerized by all we saw but had to pick and choose as we rushed through. We had to totally skip the Maplethorpe exhibit, the sculpture gardens, and entire centuries of artwork. I loved standing in front of original paintings and sculptures by the world's renouned artists throughout time. I want to go back. I want to spend days there. I want to see it all! I also want to visit other museums like the Smithsonian, the Louvre, the Metropolitan, etc. I LOVE ART! So, goodbye 2016. Hello 2017, here's to another art-filled year. I did it! I really, really did it! 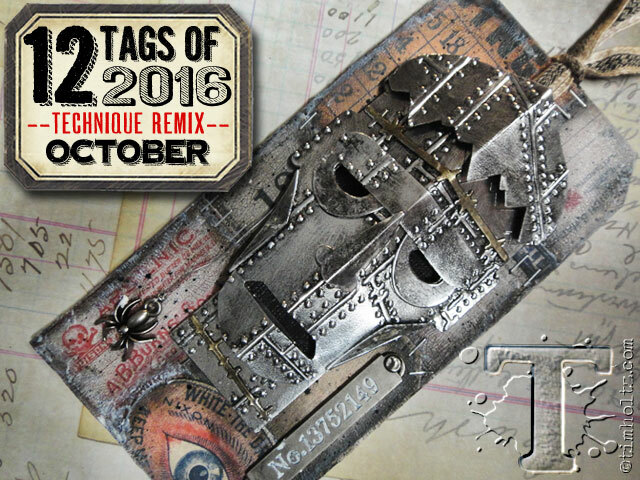 I finished all of the 2016 12 tags in 2016! LOL. I wasn't sure I was going to get this last one done but when I realized I needed some 'thank you' cards for Christmas gifts received. This project will almost catch me up with the 2016 tag series - though I chose another display piece instead of a tag. I also changed the theme from 'Thanksgiving' to 'travel' for my project. One more 'tag' project to complete and my year will be done. 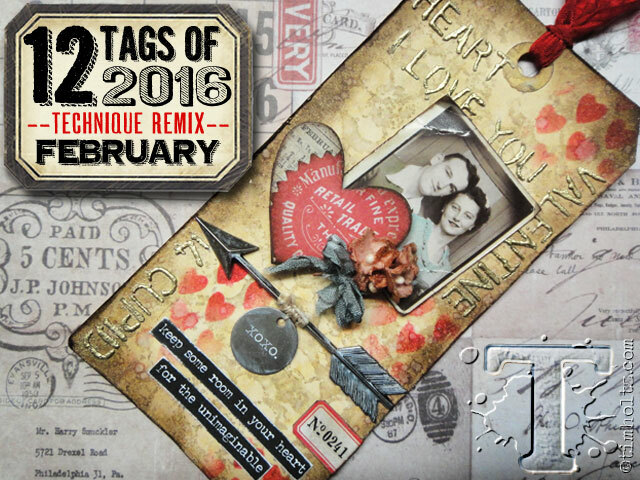 I realized I got way behind on completing the projects Tim Holtz designed for his blog. With three projects left to do and only 11 days to get them done in the year assigned, I decided I had better get crackin'. I had written out the steps Tim used when the bog posts first appeared but it had been so long that I had to look the post up before I started so I could refresh my mind on what the goal was! 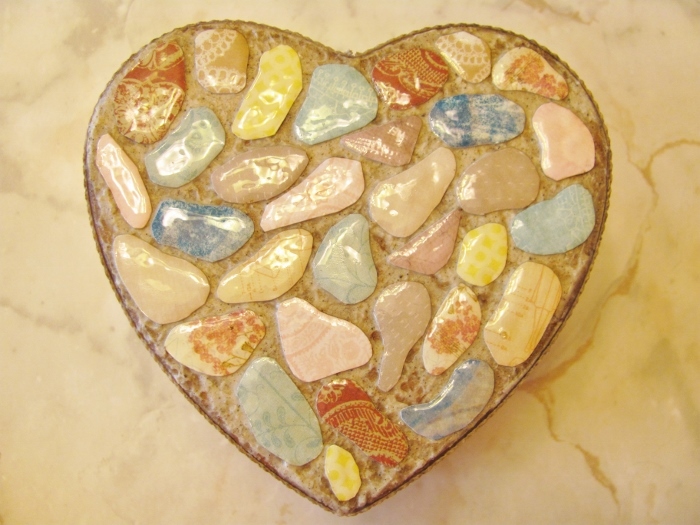 - On a base surface create a patchwork collage of various elements according to the desired theme, using a matte medium as a glue and a sealant. - I started with two papers with cutout sections. 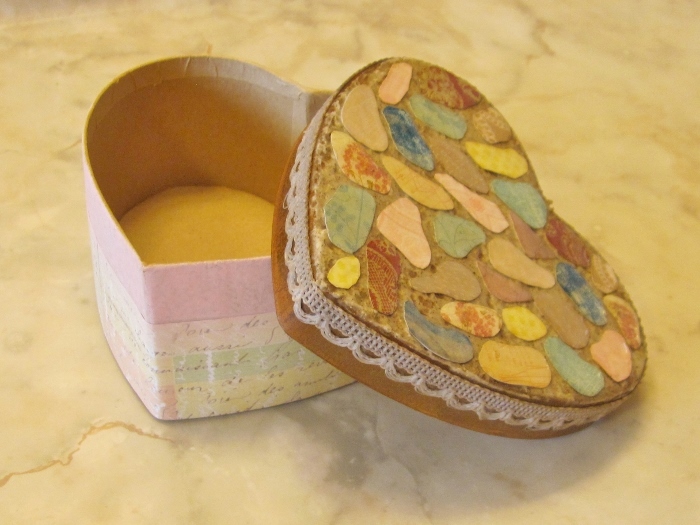 These I overlaid with printed tissue paper, then I went to town with all sorts of butterfly stickers, staying with the more realistic-looking ones. You can see I once again made a display piece instead of a tag. I chose to make this one for use in the Spring. 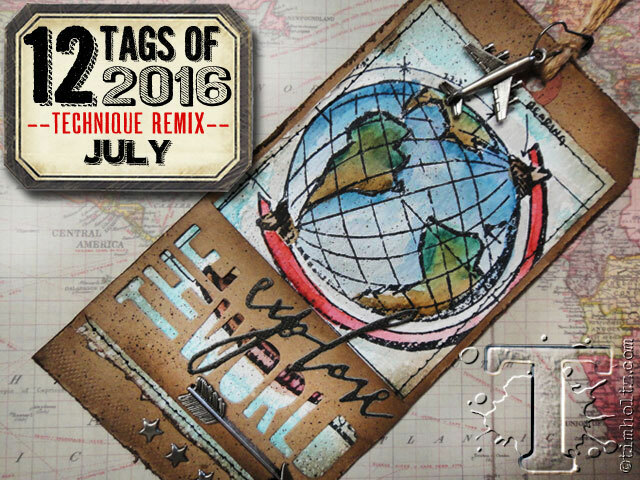 Well, I must say I started out to follow along with Tim Holtz's tag directions. But he went off on a specialty product that I did not have so I took my own tangent and finished up the project in my own way. - Select a base cover stock to work on. I chose two so I could experiment with the shiny side and the matte side. So, what did I skip? 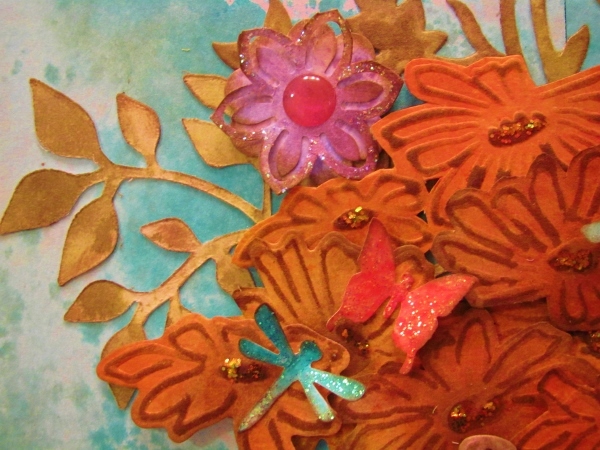 the use of a 'paper' called Yupo and a 'negative stamping' technique using alcohol inks. 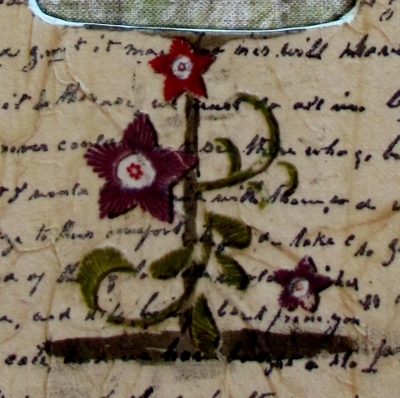 I've done this technique with transparency (long ago) but I don't have access to Yupo and didn't want to buy any just to try this. I also skipped a technique for creating a patina on plastic letters. This is where I used sticker letters. I'm happy with my 'tag' though. 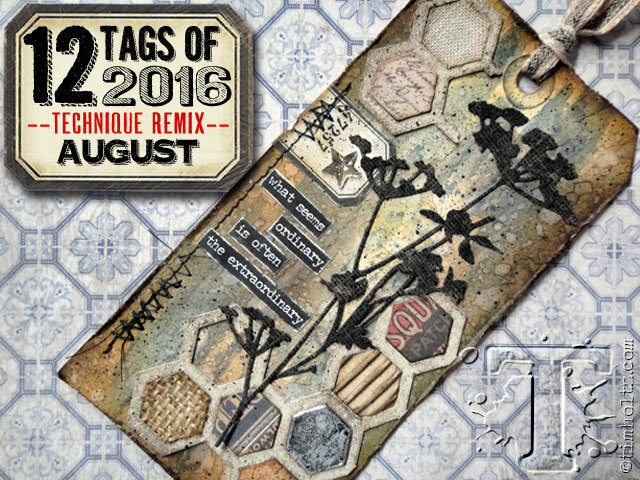 Right on schedule, Tim posted his technique remix tag for August. And with only a little delay I created my own version. This is another of those cases where I did not have the product to do a major part of this project, so I used a work-around. More about that later. When I do these 'tags' I follow along with Tim and make step by step notes (like those above) with no sketches or photos. Then I take that cryptic list to the studio and start looking for products and supplies that I can use to get a similar effect. After creating, I photo it and bring it back up to make these notes. That is the first time I have a side-by-side comparison of the end products. So, there you go, another month complete. 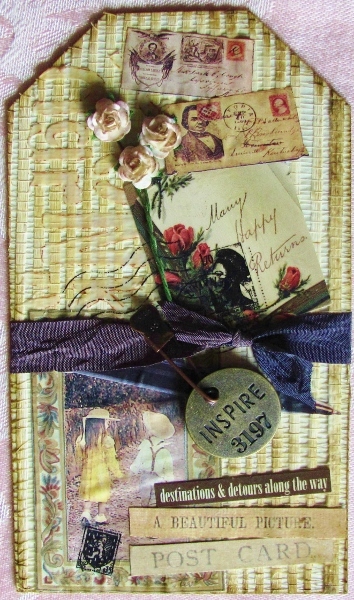 I set a new record (for me) in the speed with which I completed one of the tags in Tim Holtz's series. I mean, he only posted it THIS MORNING! - Mark and cut a top and bottom slit for the stamped piece to slide behind. Here's to finishing more projects in record time! 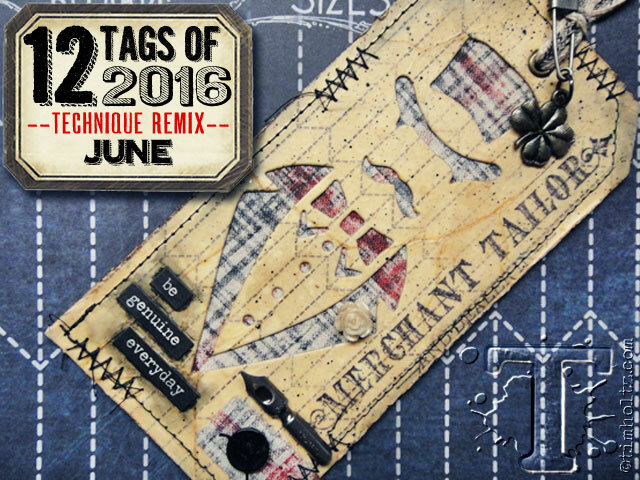 Look how early in the month I am getting the June tag done! 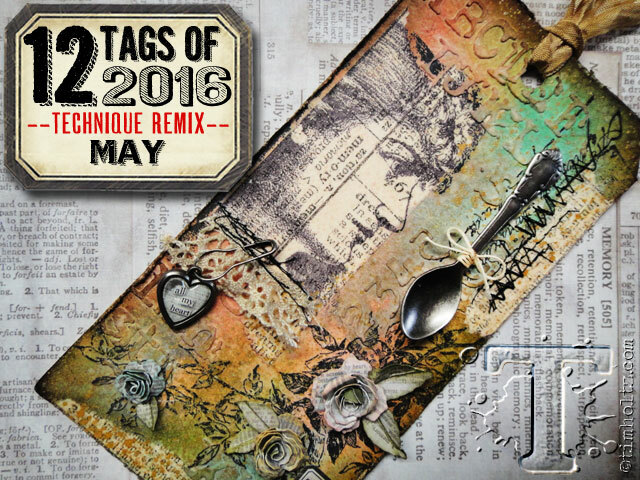 As you recall, Tim Holtz creates a tag every month for inspiration using his products. Throughout 2016 he is combining two old tutorials to be his own inspiration. Of course, I never have the same supplies to work with (well, a few here and there) so I just wing it with similar things from my studio. This piece is about 4 1/2 x 8 (I say this from guestimates NOT measuring). 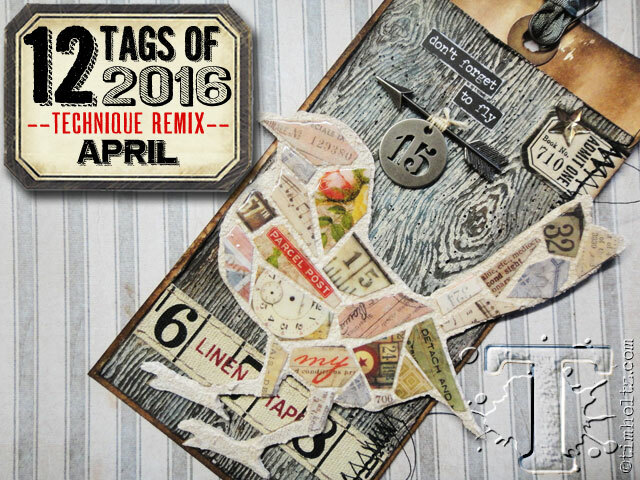 Now that I'm caught up with these challenges, we won't see another '12 Tags' project until June. Yep, back with another in the 12 tags series. In this case I actually made a single piece and then cut it in two to make separate cards. Tomorrow, I'll show the bottom half - also made into a card. This is SO not a tag! 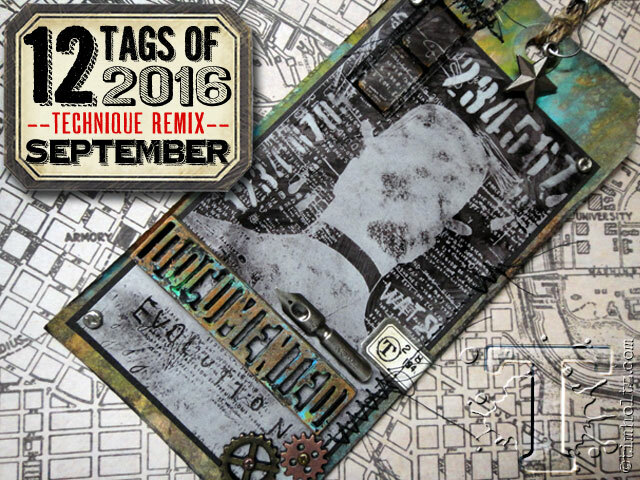 Tim Holtz works on tags to demonstrate his techniques but I rarely do. I mean, what do you do with a tag you've decorated? Tim recognizes that not everyone wants to work on tags but he is really just teaching technique ans encourages people to make the project their own. - Stir some sand into a little modeling paste. 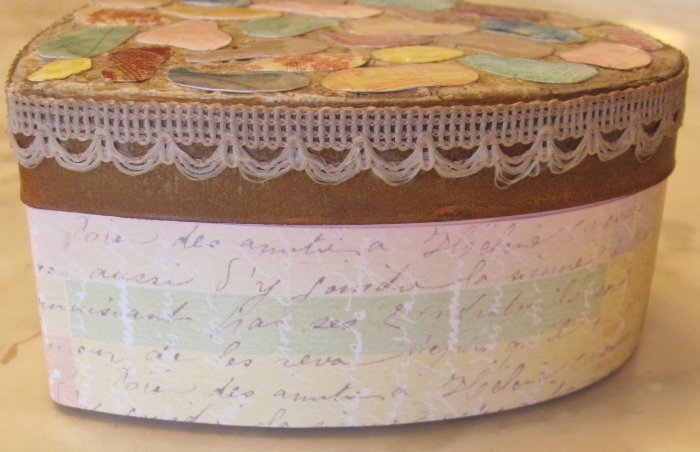 - Place lid on box and admire your work! See? REALLY not a tag! 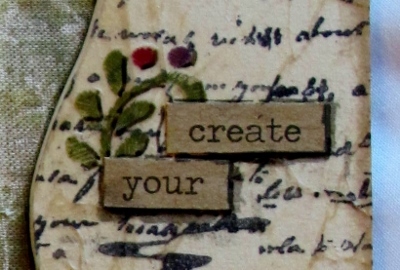 I'm kind of in 'catch-up' mode on these Tim Holtz-inspired projects. So, right on the heels of the February one, we're on to March. - Use strong adhesive to mount combined pieces to folded card base. 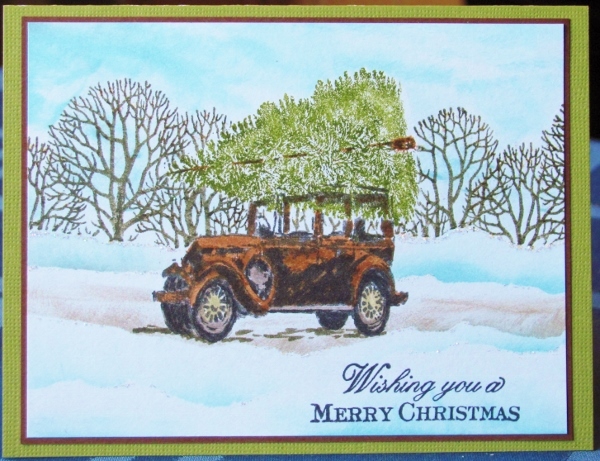 Thiis is a larger card as the size was dictated by the original diecut. 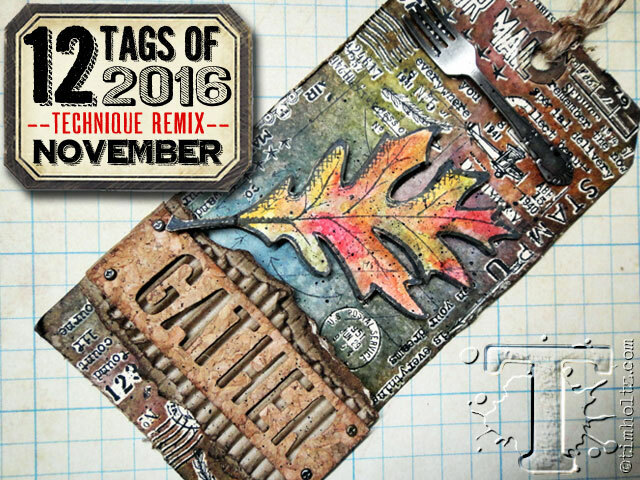 I am WAY behind on creating tags from Tim Holtz's 12 Tags of 2016. I finally created the project for February - in MAY! 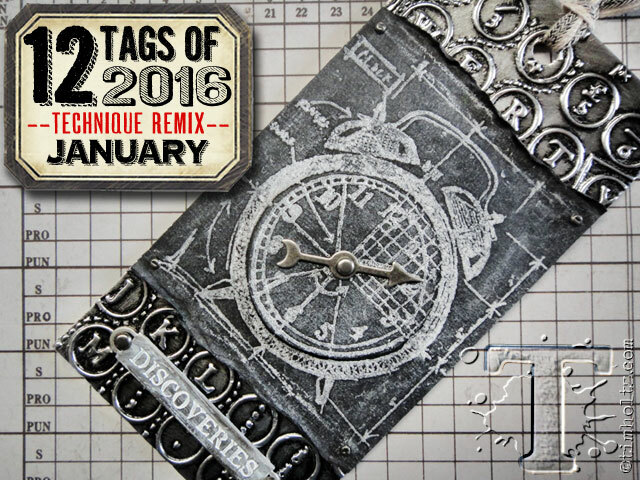 This year he reprises two old tag techniques he has done in past years and combines them into one tag. I will warn you that my project looks nothing like his! 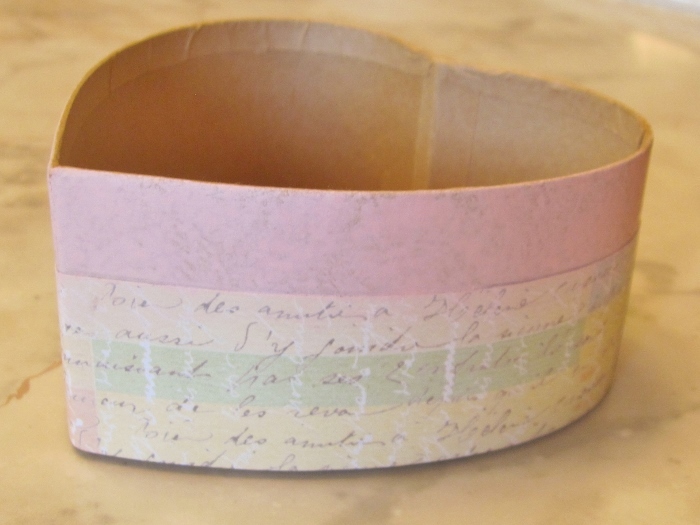 - Cover with paper towel and press to soak up extra moisture. - Trim if desired and add to a folded card base. I really like my version a LOT! 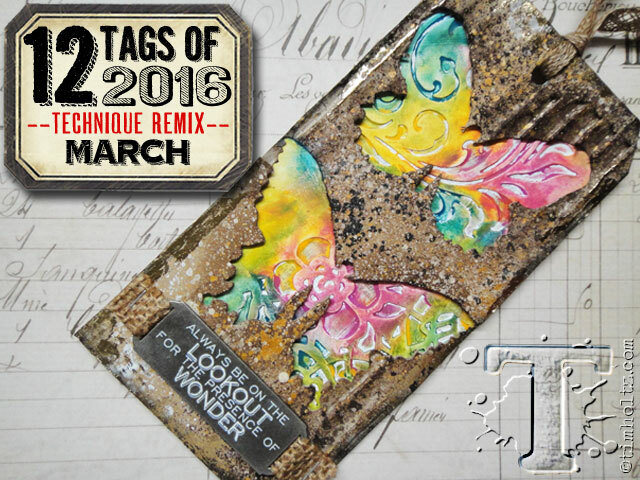 Sure enough, Tim Holtz returned with a monthly tag challenge for 2016. Each month he will reprise two old tag techniques he has done in past years and combine them into one tag. 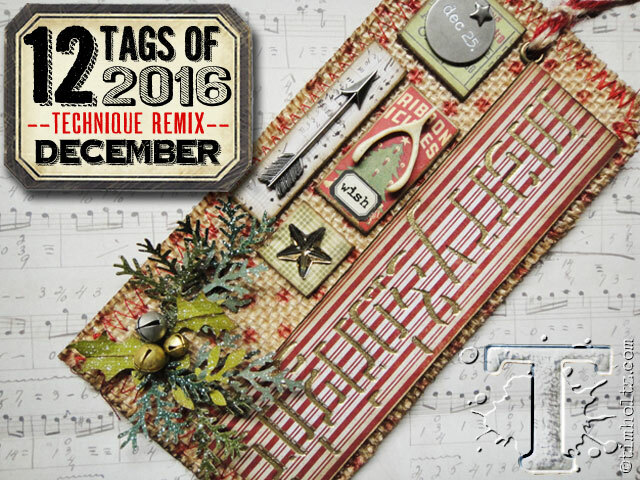 I am joining in again - right on the heels of finishing my last tag of 2015! 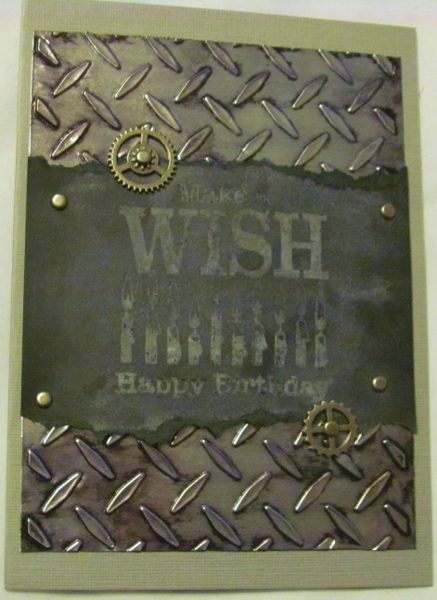 What a great card for a guy - all that industrial look. We're off to a good start. This year, for the year-end wrapup, I decided to match the year with the number of projects to feature. 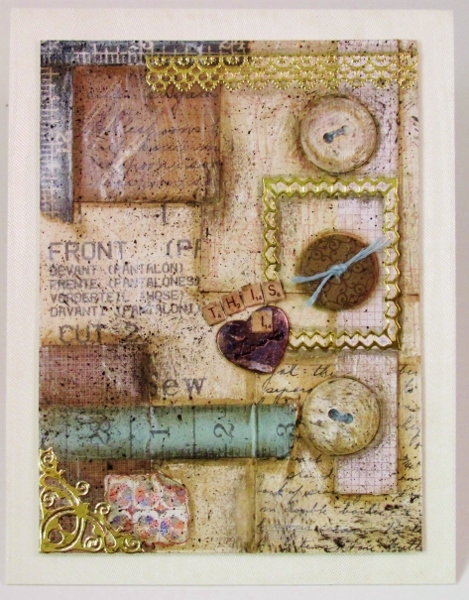 This is a display piece based on techniques taught by Tim Holtz in his 12 tags of 2015 series. This was the February project. I had wanted to make a quilt of a bookcase for some time. 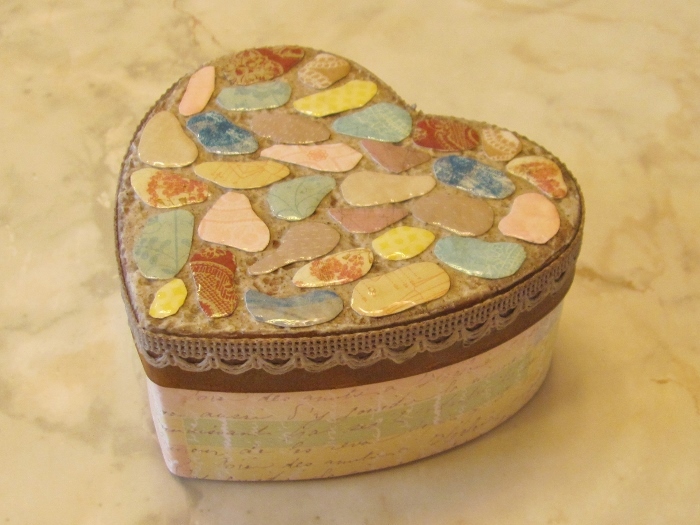 I designed this one and constructed it using paper piecing. It is one of the banners I hang on the fireplace wall. 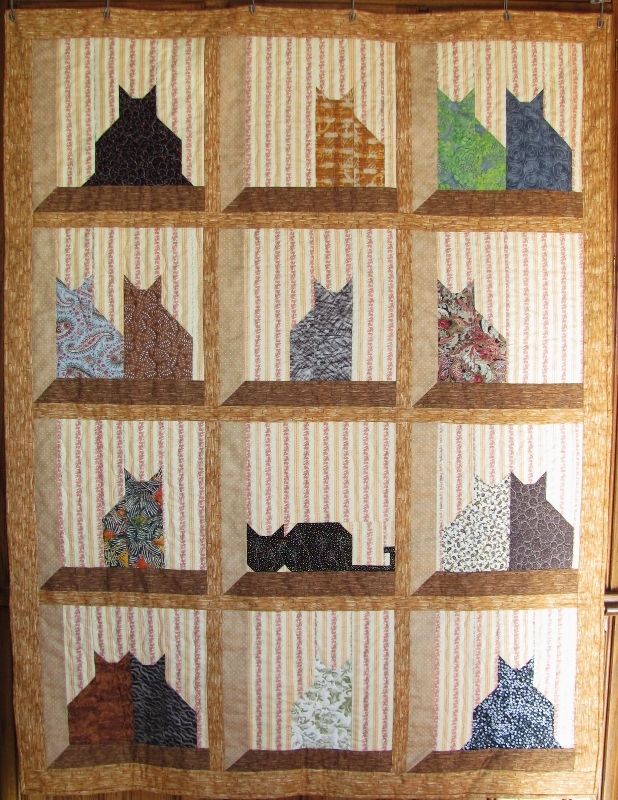 In March, I designed this quilt of cats in the window. 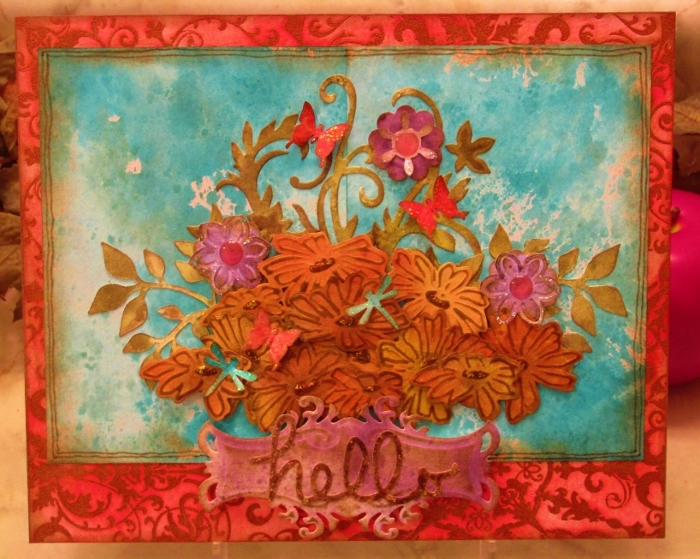 This was made in May from another of Tim Holtz's tag tutorials. One of my favorite cards working from the OWH sketches. 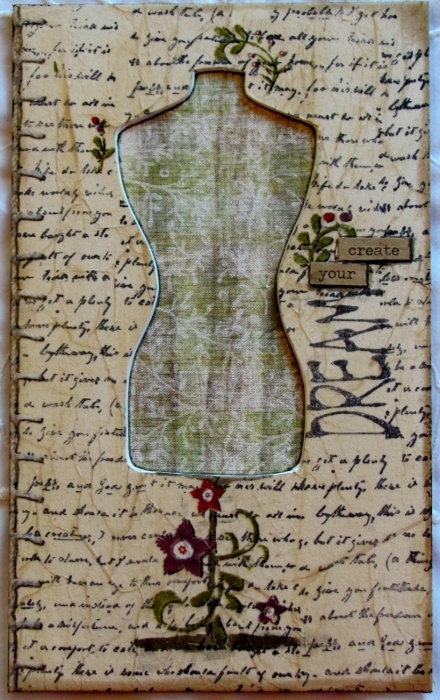 This July creation came from the Tim Holtz tag tutorials. 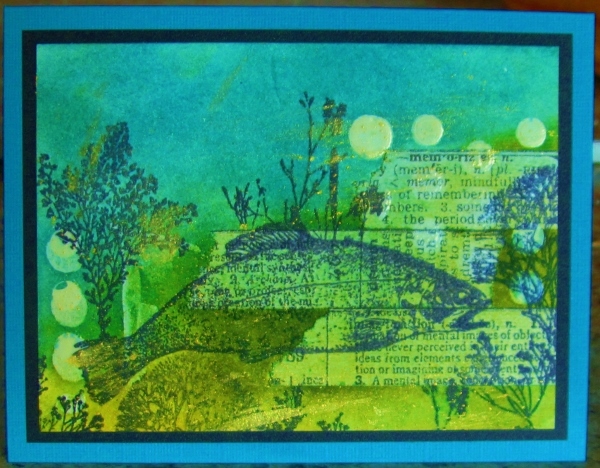 This stamped card was going to be an entry for the fair but I ended up not entering anything. 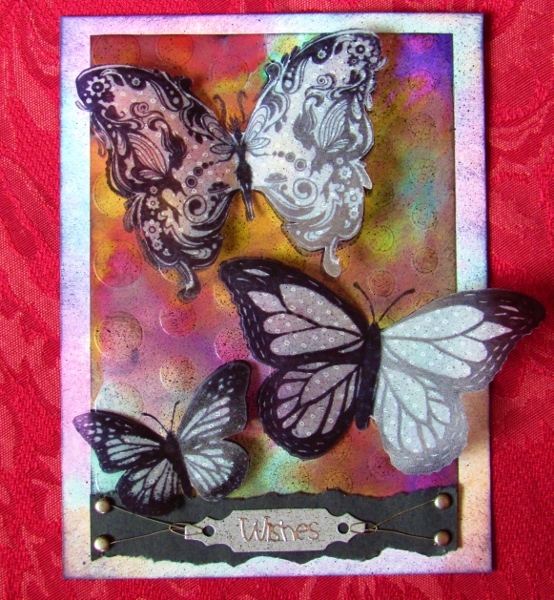 A card using the September tutorial from Tim Holtz. 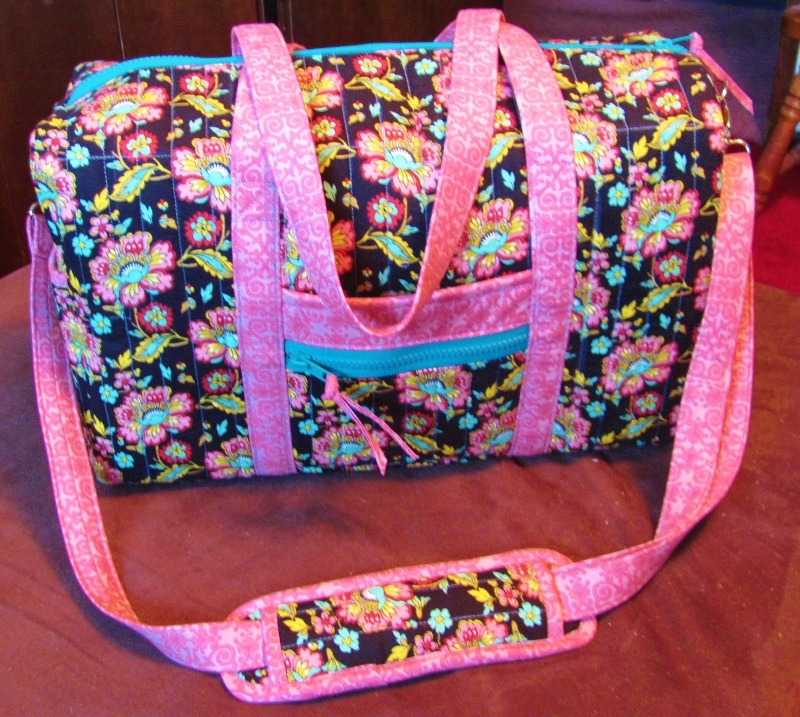 I love this duffel bag I made in September. 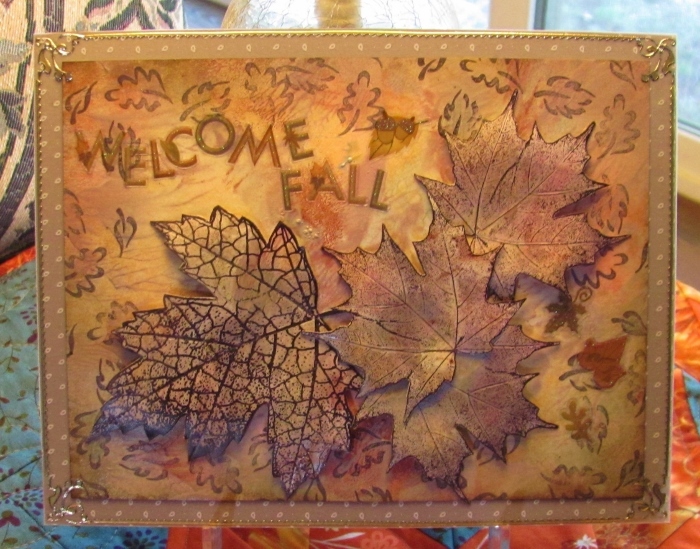 October's display piece made from Tim Holtz's tutorial. A mystery quilt that ended up donated to the hospital. 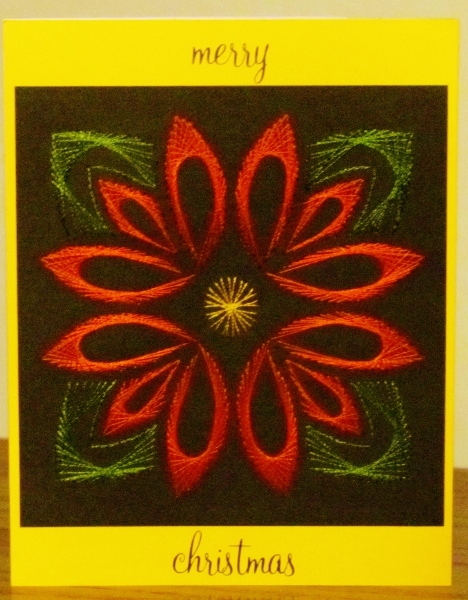 Paper embroidery for a Christmas Card. 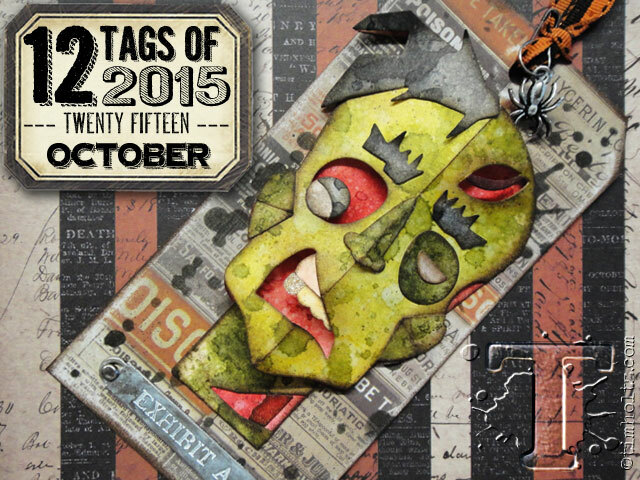 The November Tim Holtz tag tutorial turned into this. A gift for friends based on a piece we saw in a shop window at the beach. 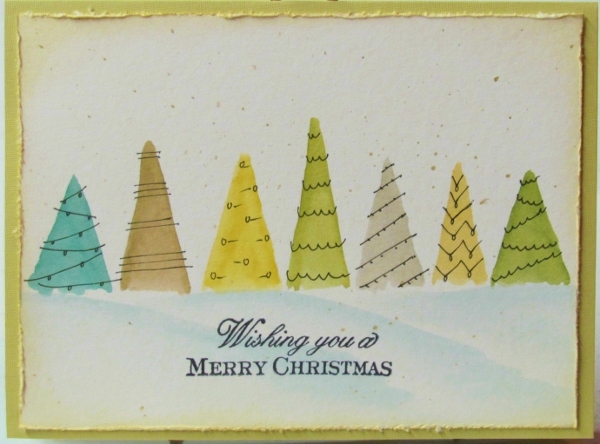 A watercolored Christmas card inspired by an online tutorial. And that's it - 15 for '15. I can't believe we're up to October already with this year-long challenge! 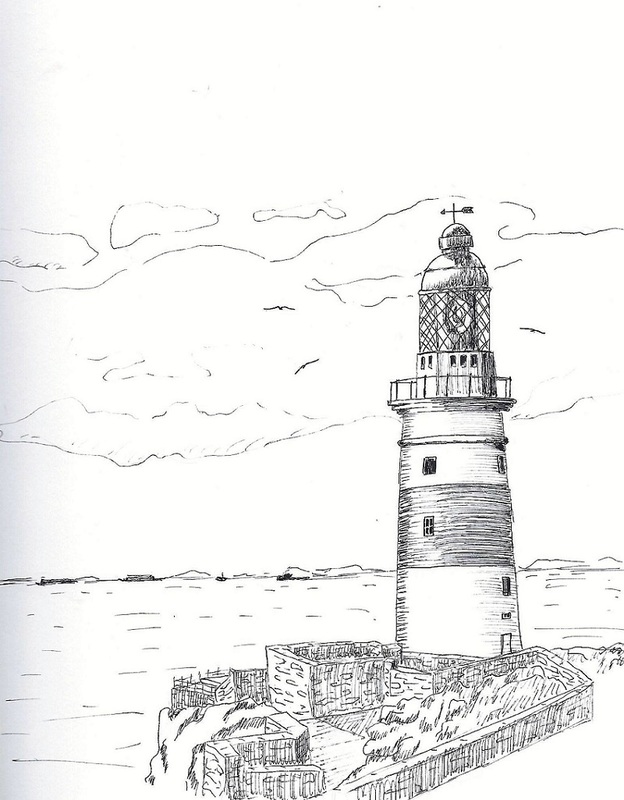 Here is the inspiration piece from Tim. He went with a distinctly Halloween tag, but I am NOT all about Haloween. I went back to the very basic idea that Tim used and focused on 1) wrinkle-free distress backgrounds 2) layering diecuts made from those backgrounds 3) a word feature. Granted, I used diecuts that are nothing like Tim's and worked on a large showpiece instead of a tag, but the process is similar and led to a project I am proud of (much more than if I had made a Halloween tag). Ummm, yeah. That is NOT a Zombie Head Tag! 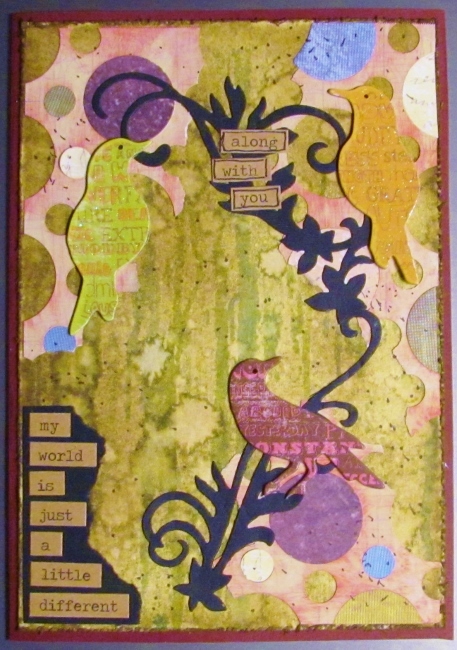 - on heavy cardstock use foam tool and distress inks to blend color to complement alcohol inked piece. Yes, I made another display piece instead of a tag like Tim does.